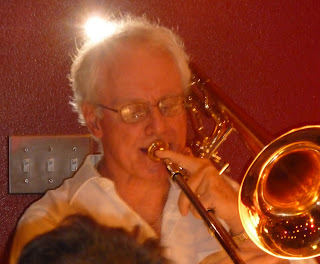 On Tuesday night, April 19, I went to Dink's Restaurant in Palm Springs to see the Ted Herman Orchestra. One of my favorite singers in the Desert, Beverly Jensen had told me that this 14 piece band was producing some great sounds and I wanted to hear the band for myself. As soon as the band started to played it's first song, "All of Me" I knew I was in for a treat. 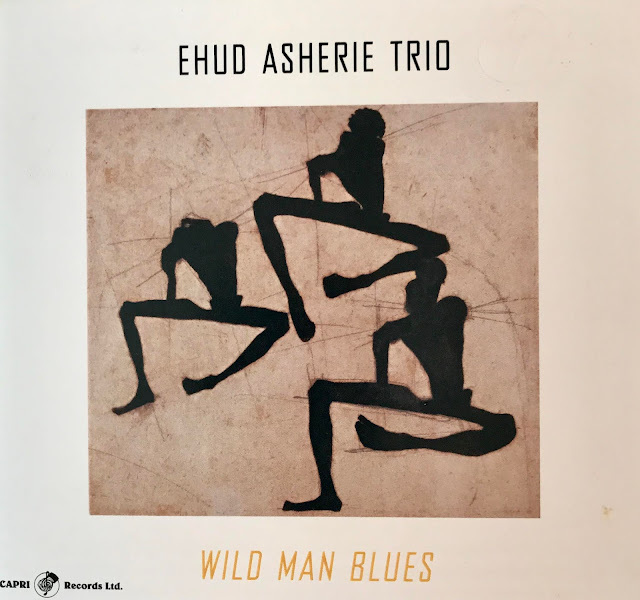 Under Ted Herman's direction, the band played beautifully, swinging this great evergreen firmly but softly. Ted has two singers with his band. 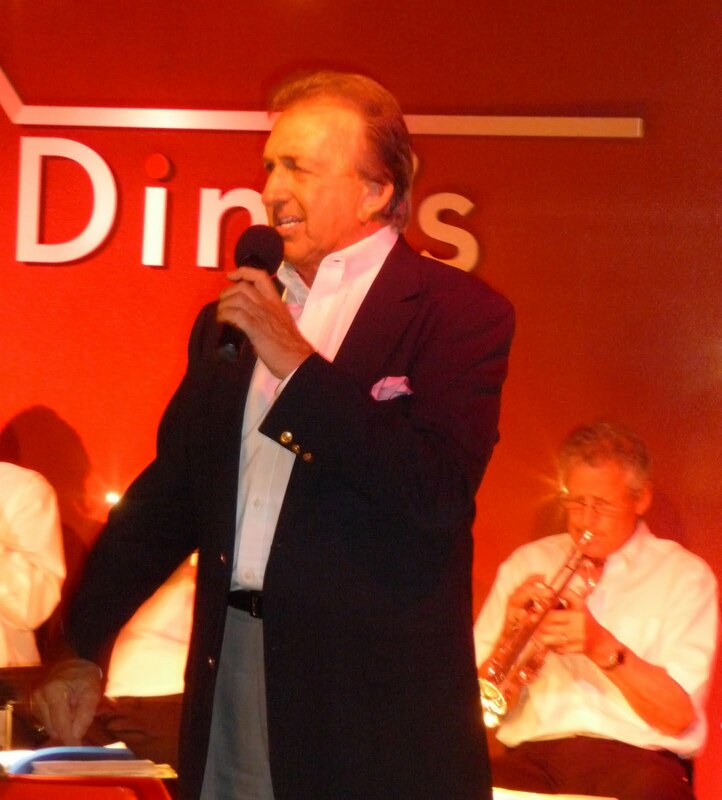 We first heard, Larry Capeloto sing and swing with the band. His style and voice fit perfectly with the band. I only heard two songs from Larry but would like to hear more from him in the near future. Next we heard from the beautiful Lee Hartley. I had not heard Lee before but she was right at home singing in the middle of the band. 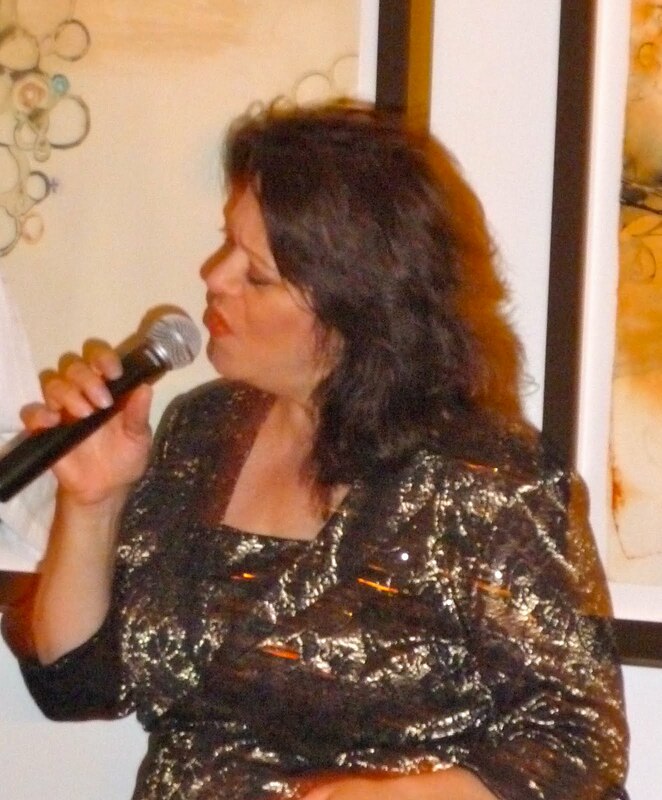 She has a strong voice and good range, perfect for singing with a big band. Can't wait to hear more from Lee. I understand that both Larry and Lee are currently working on new CDs. As soon as they released, look for a review on my blog. I had another surprise at Dink's this evening. I learned that about once per month, Ted invites a local high school jazz band to play for the first hour of his show. This night, the impressive jazz band from Palm Desert High School performed. I have to say they sounded a whole lot better than the Jazz band I played in when I was in high school. It is very satisfying to see these young high school adults playing big band music and playing it well. 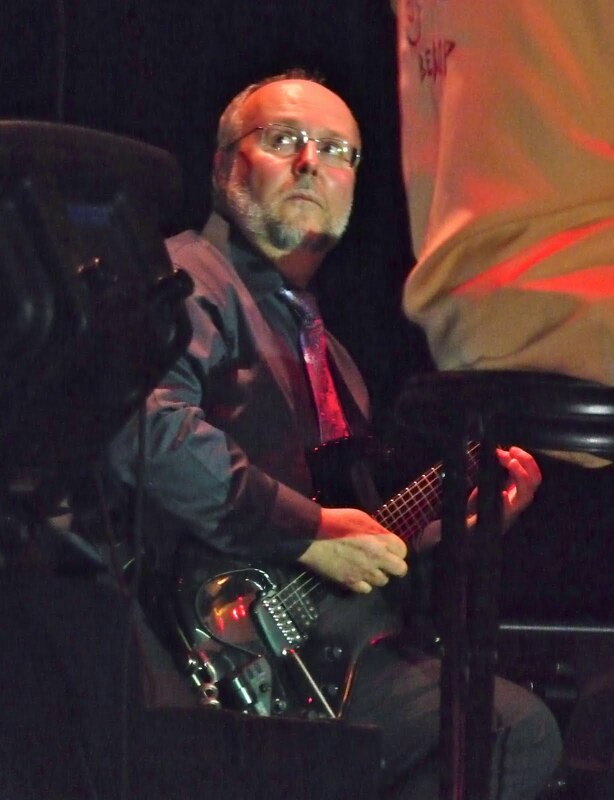 The director of the band was Guy Lake, and he deserves lots of credit for the job he has done. After they finished, Ted invited two members of the Palm Desert High School Band to sit in with his band, Amelia Sullivan on Trumpet and Bennett Robinson on Alto Sax. What a thrill for these young adults and what a thrill for me watching and listening in the audience! If you have not been to Dink's on Tuesday night, put it on your "To Do" list. You can have dinner and dance to a 14 piece orchestra with no cover charge or music charge! What are you waiting for? My thanks to Beverly Jensen and trombone player, John Leys for telling me about this great venue and orchestra. On Sunday, April 17, I went to see the highly regarded Jackson Garrett Jazz Band. The Jackson Garrett Band has been doing yearly performances for the last several years. The bank was formed by Christopher Gore in 2003. It was at this time, Christopher met Marty Steele and from that point on, The Jackson Garrett Band became a product of both of their talents. Chris writes the great music and lyrics and then Marty gets to apply his arranging magic to these great songs. The last ingredient in the Jackson Garrett formula is the outstanding group of musicians that join Chris and Marty to complete the final musical product. The show at Annenberg Theater was very entertaining especially for anyone who likes the Big Jazz Band Sound. The lovely and talented Laura Hagen hosted and also sang several original songs for us. The list of superb musicians that appeared was like the "Who's Who" of live jazz music in the desert. In addition, there were some guest performers that added greatly to the overall program. 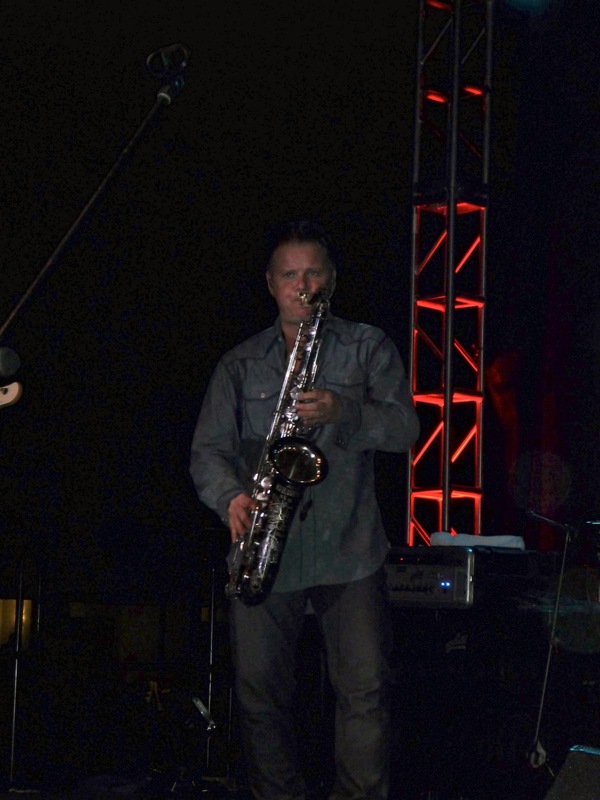 First, we heard the great sax man who has played with Earth, Wind and Fire for the past 25 years, Gary Bias. Gary was really in his groove when he played "Sweet Love". 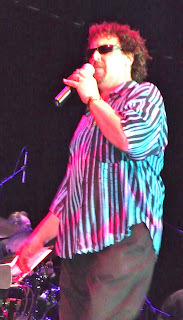 Gary co-wrote this song that was performed by Anita Baker and won a Grammy Award. The next guest performer was the singer/songwriter, Slim Man. I was not familiar with Slim's work but he turned out to be quite a treat. His signing style is very unique, his voice is deep and rich and his songs and lyrics were first class by any measure. 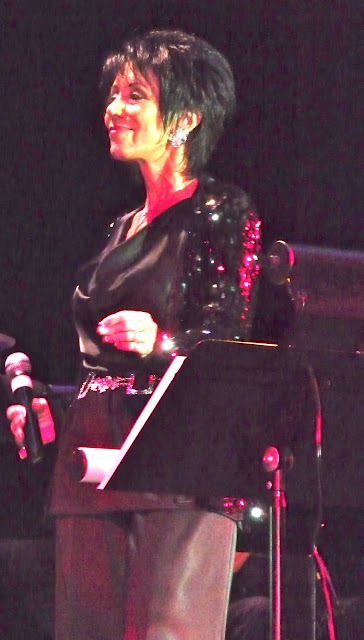 The last guest was an Oregon-based singer, Kristi King who has performed in the Palm Springs area many times. She performed, "Let Sleeping Dogs Lie" that was co-written by Marty Steele along with Chris Gore. The balance of the performers in the Jackson Garrett Band could all be headliners in their own right and in fact most of them are. I would have to write a book to properly cover their extensive resumes', but I would like to single out a few that performed exceptional this night. Marty Steele continues to impress audiences not only with his skillful keyboard performance but also with his song writing and his great arrangement talents. Chris Gore one of the best composers writing today for the wonderful array of songs and lyrics for tonight's program. 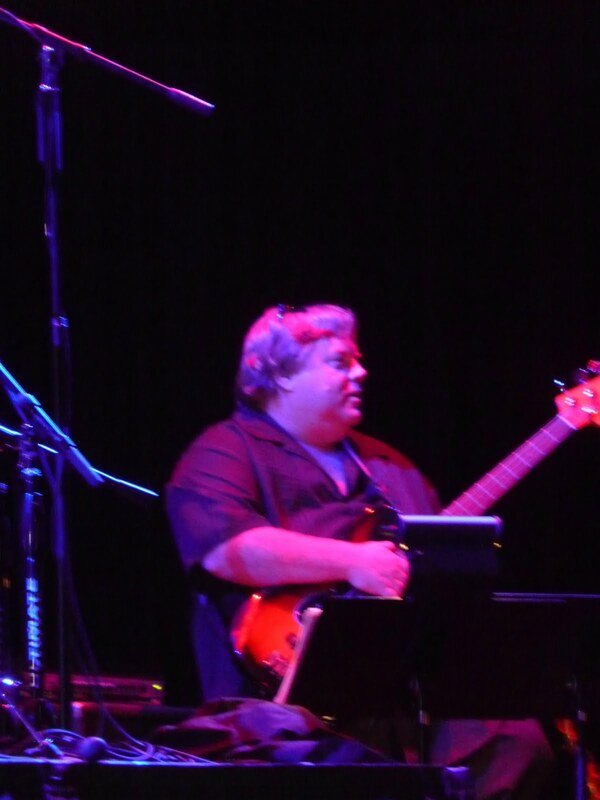 Steve Madaio who performed some great solos and never fails to impress audiences throughout the country. Because every single player and singer was so talented, I have posted some pictures. I am sure that everyone will recognize them because they all perform in many venues in the Coachella Valley. On Saturday, April 16, I went over to The Miramonte Resort & Spa to attend the Coachella Wine Festival. The Wine Festival is a four day wine and food adventure that includes a golf tournament at the Classic Club. I was looking forward to tasting some great new California wines but was surprised to find that in addition to great wines there was also a large array of tasty food provided by some of the best restaurants in the Valley. 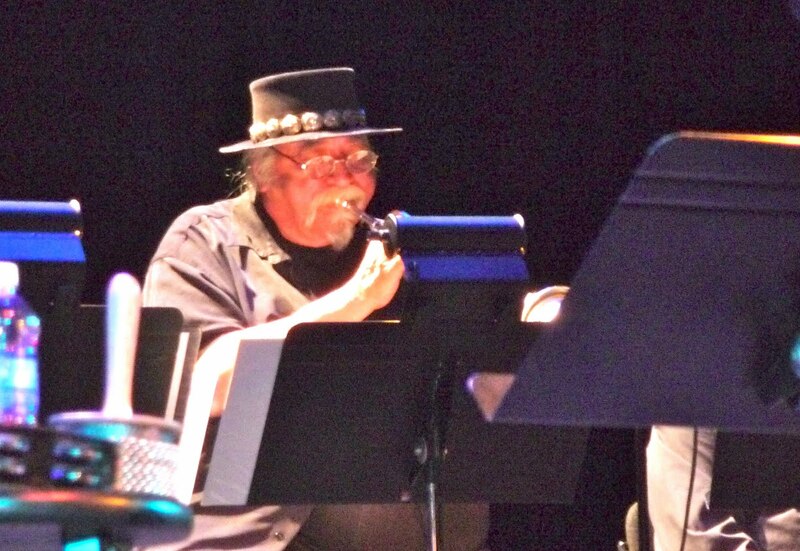 To top it all off, there was a live program of jazz music put together by my good friend, Johnny Meza. The music started with a trio consisting of Johnny singing and on keyboard, Mikole Kaar on alto and the clear smooth voice of Lola Rossi. 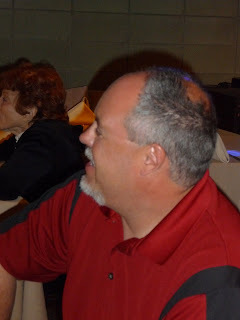 I had just heard Lola sing the night before at the Escena Lounge & Grill and was delighted for the chance to hear more. This was also the first time I got to hear Mikole Kaar play alto and he was a good addition to the group. I understand that Mikole plays in a jazz group every Tuesday at The Tavern, 3700 Vista Chino@ Gene Autry in Palm Springs. I hope I can get to review his show before I leave the desert. The next musician to arrive was Julio Cesare who brought with him a new and very neat electronic drum. According to Julio, this new electronic instrument can make hundreds of sounds. As he played with the group, he produced some great rhythms. 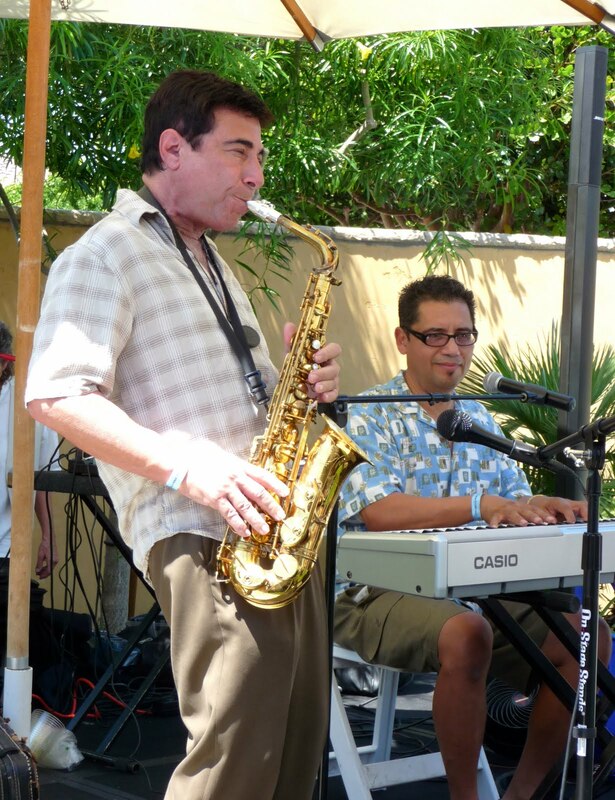 I found out later that Julio plays with the "Great" Inka Kings who perform at the La Quinta Resort on Saturdays. Our next arrival was Denise Motto who played the keyboard and sang. Denise was a powerhouse of rhythm combined with a soft and smooth voice. An outstanding musician that I would like to hear more from. 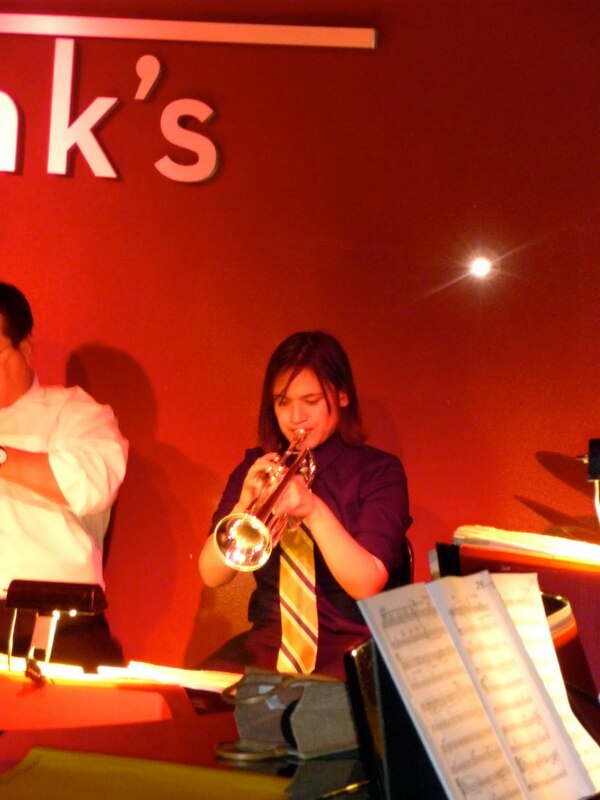 She plays at Dink's Restaurant on Saturdays. It was a very enjoyable afternoon with great weather, superb wines, delicious food, great sounds from some of my old musical friends combined with some very talented new musical friends. Friday Night, April 15, 2011, I had the pleasure of hearing Lola Rossi sing at The Escena Lounge & Grill. Many live music fans had told me that Lola was a terrific singer but this was the first time that I had the opportunity to judge for myself. 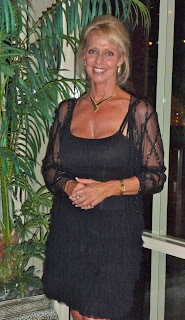 As I arrived at the Escena Lounge & Grill, I was caught off-guard by a beautiful clubhouse building with its Palm Springs mid century design and the glorious views of the Nicklaus designed golf course that is visible from anywhere inside the building. When I arrived, Lola was already singing. The first song heard was the great standard, "At Last". Lola sang this blues classic so well I thought that the blues may be where she lives. But as the night went on, it became clear to me that it's not possible to put Lola into one musical Jenre. She does it all! Broadway, with two stunning Barbara Streisand arrangements: "Memories" from the musical "Cats" and "His Is The Only Music That Makes Me Dance" from "Funny Girl". By the time her show was over, Lola covered: Broadway, The Blues, Country, and music from the 50's, 60's, and 70's. She had a strong but smooth voice with remarkable range that she uses to showcase some classic but difficult songs effortlessly. There is no doubt that Lola is one of the best singers performing in the desert today. But Lola was not my only surprise this night. 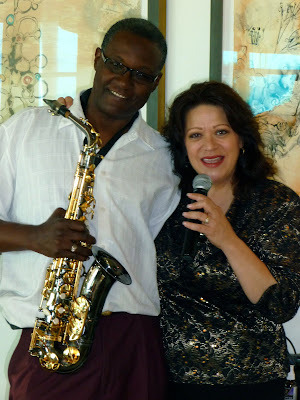 Lola was joined by a wonderful singer and sax player, Reggie Alexander. I went to Escena Lounge and Grill to see and hear Lola but having Reggie sing and play along side her was a double treat. Reggie plays alto and tenor and can cover both standards and jazz equally well. He performed a rendition of the jazz standard, "Europa" that I thought was great. 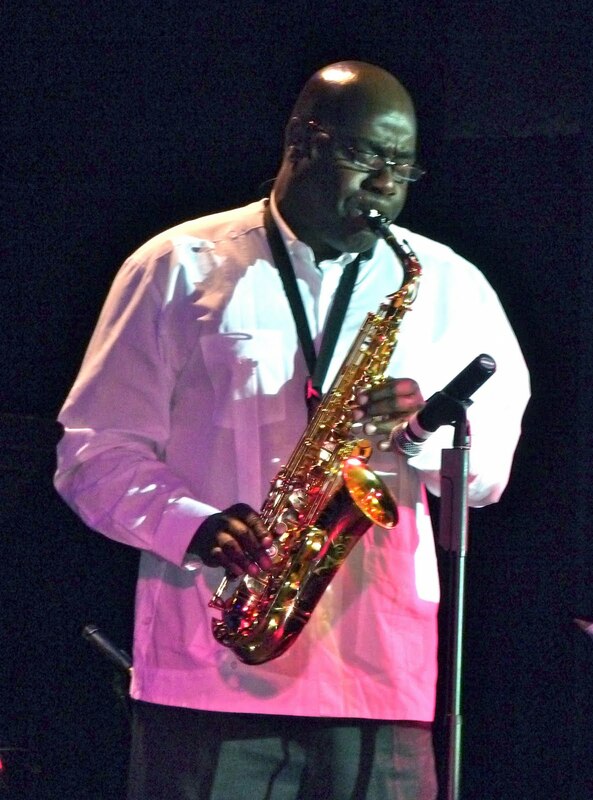 His sax sound is smooth and warm even when he went off on some well thought out jazz solos. 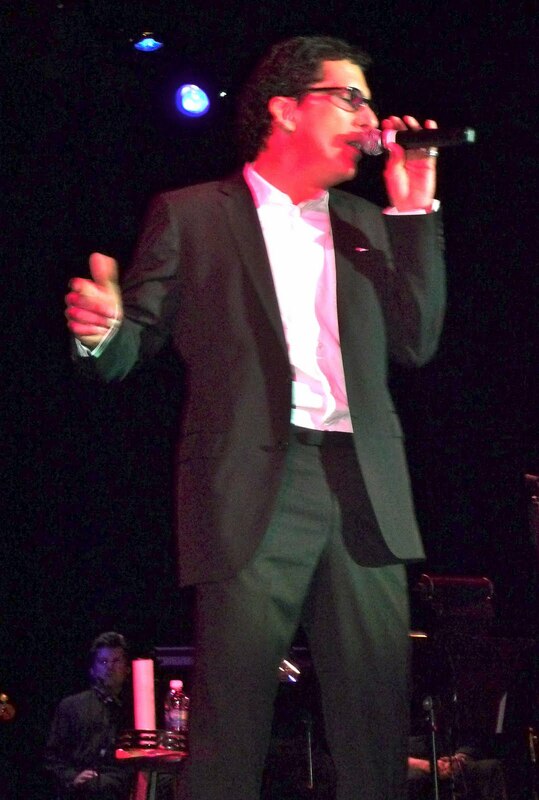 His singing style and voice were also smooth and warm. He handled some wonderful vocal signature songs from Lou Rauls, Nat King Cole, and Sinatra with great ease. The sounds from this partnership were just terrific entertainment. Lola and Reggie will be performing every Friday from 5:00 to 9:00 through April and then will also stay during the month of May but may be moving to Saturday night. 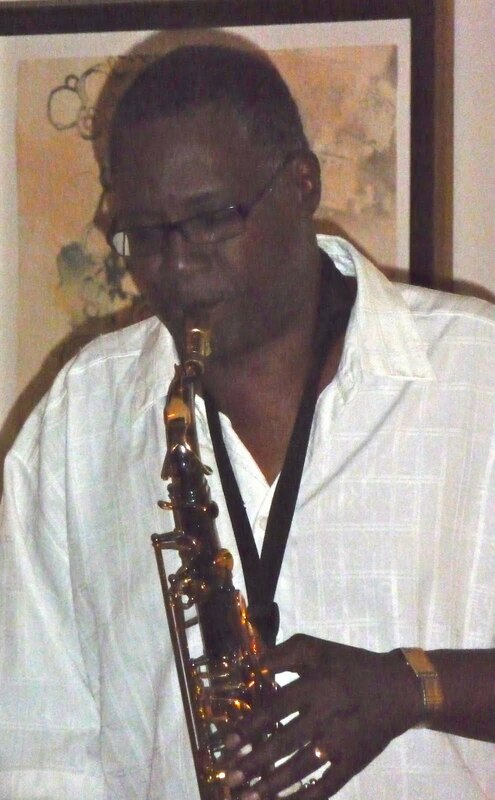 If you like live jazz and who doesn't, put Friday night at Escena Lounge & Grill on your entertainment "To Do" list! On Tuesday, April 12, I went to Palm Springs to visit the Tropicale Restaurant. My purpose was to listen to two talented musicians who have a regular gig there, Derrik Lewis and Jeff Stover. I had never been to Tropicale but within minutes of my arrival, I knew that this restaurant had "It". What's "It" for a restaurant, you ask? Great looks, warm comfortable feel, several different areas to have drinks, finger food or dinner, wonderful mix of people, great menu, friendly experenced waiters and, as it turns out, great sounds from the piano and bass duo of Derrik Lewis and Jeff Stover. This marvelous new Palm Springs restaurant was created in 2008 out of an old auto repair shop. The three partners, Tony Di Lembo, Rob Kenzi and Ranz Wienert designed and totally rebuilt the structure from bare walls and transformed the site into a beautiful, upscale dining experience. But it's not just for dining. It's clear that it has become a meeting place for locals and their friends. This was my first visit, but I am already planning my return as I am putting Tropicale on my restaurant rotation. I understand that Derrik Lewis and Jeff Stover have been extended for another year, and the reason is because they make some wonderful sounds together. First, Derrik picks only the "best of the best" songs from the "Great American Songbook". There were songs from great Broadway musicals as well as songs written by Cole Porter and Gershwin. What makes this duo special is that Derrik and Jeff apply their own unique approach by playing with different tempos that give these gems a whole new and welcome presentation. In addition, when Derrik sings if you close your eyes and listen, you could easily envision that you were sitting in the Carlyle Hotel in NYC listening to the great Bobby Short. The name of this restaurant is "The Tropicale" and it does make you feel you are in South Beach in Miami, but I also think it also has the feel of New York City. 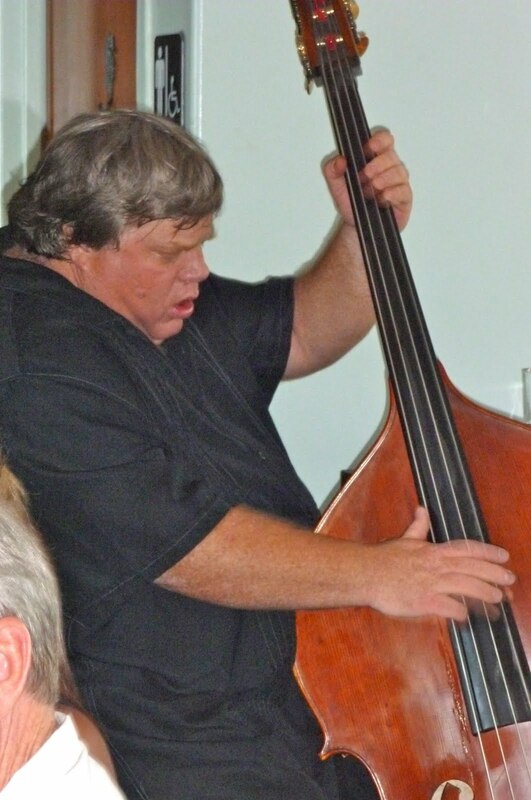 I also want to mention that as good as Derrik plays piano and sings, Jeff does an outstanding job of playing upright bass. 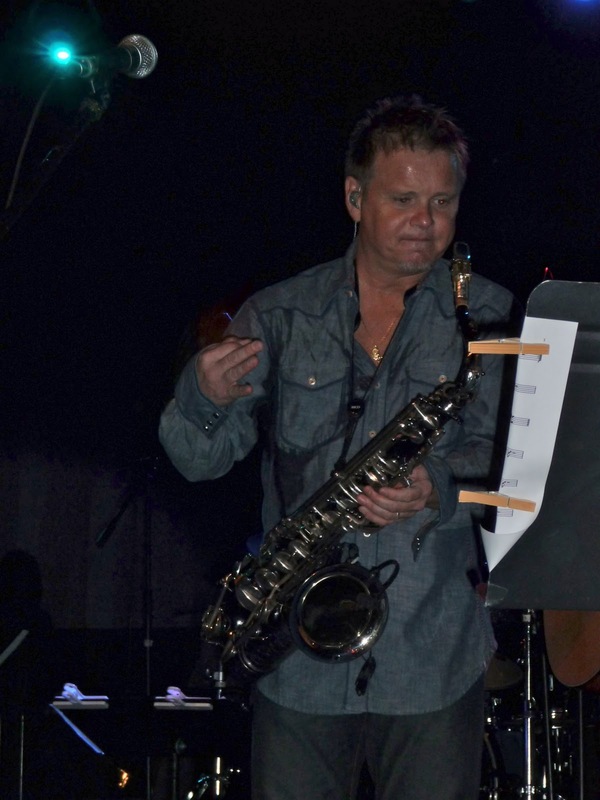 On many songs, he even take the lead and plays the melody while Derrik fills in perfectly with the piano. This restaurant is the real thing and needs to be on your "To Do" list. Finally, I have to mention that we were provided excellent service by our wait person so I decided to post his picture. Ask for Dan when you visit, and he will take great care of you! If you felt the earth move near the Rancho Las Palmas Resort in Palm Desert last Saturday, April 2, don't worry. It was not an earthquake. 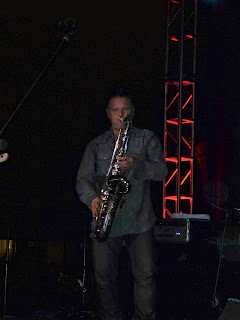 It was the sounds coming from the 2011 Desert Lexus Music Festival. 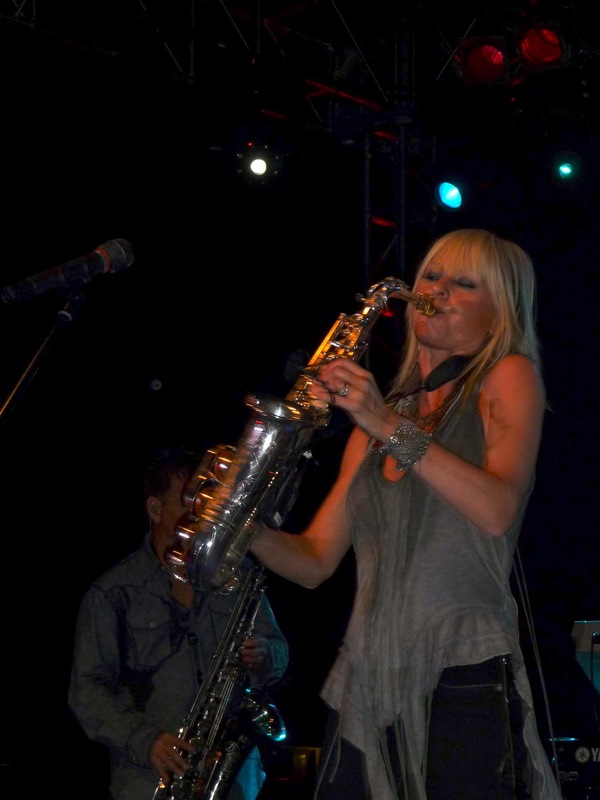 There were three major talents shaking the ground: Euge Groove, Mindi Abair and Jeff Golub. Jim "Fitz" Fitzgerald introduced the trio and then for the next two hours they took the house down. Euge Groove made his tenor sing with more notes and range than I thought were possible on a saxophone. 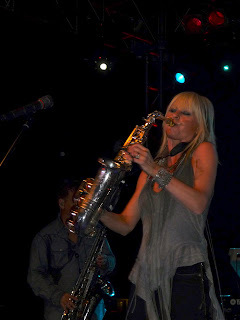 Then the great Mindi Abair brought the crowd to a fever pitch with her alto sounds and moves. 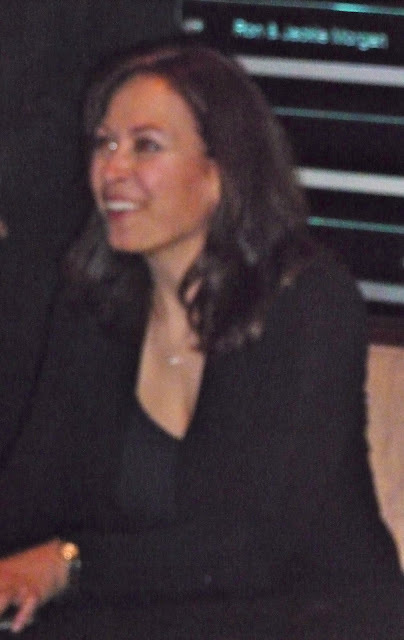 Mindi also sang a couple of her classic tunes that delighted the audience. 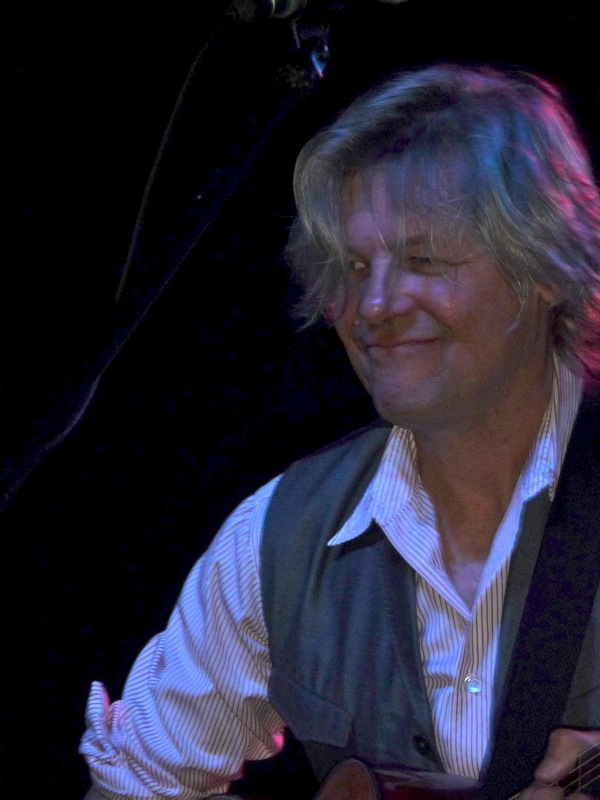 Next up on the program was some terrific guitar playing licks by Jeff Golub. Jeff was at his best and the audience couldn't get enough of his wonderful guitar sounds. The trio played individually and then together that drove many in the audience into a dancing frenzy in front of the stage. The setting under the stars in great desert weather made the event almost surreal. It doesn't get any better than this. When Linda Eder walked on the stage at the McCallum Theatre on Wednesday night, March 30, it felt like opening night of a Broadway play. Before Linda reached center stage, the audience was clapping and cheering for her. She has a tremendous following here in the Desert and she did not disappoint anyone at the McCallum. Linda said it was a long trip from the East Coast but it was worth it to perform for the appreciative audience in the Desert. 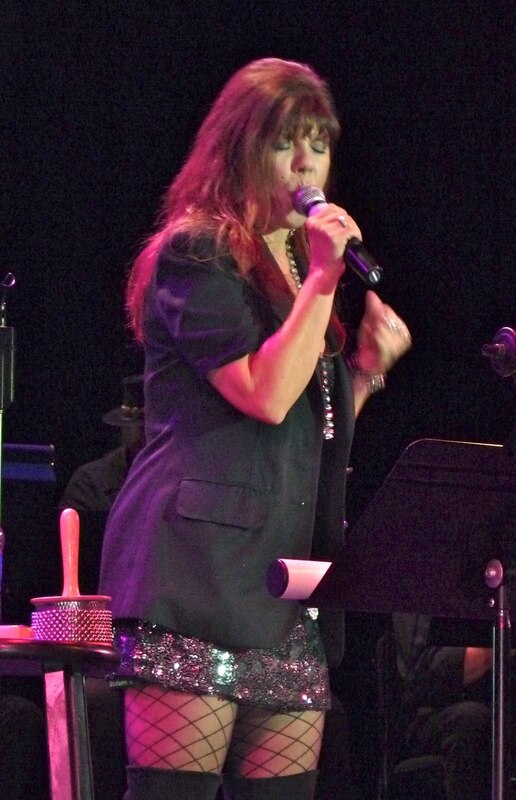 Linda performed a wonderful collection of songs including many from her newly released CD, "Now". The music on this CD is exactly what you would expect on any Linda Eder CD. The songs are all sensitive stories told with wonderful melodies. This is Linda's trademark. Linda Eder unlike many singers, only picks songs that have strong lyrics and tell a story. Then she sings these songs with a sensitive understanding of exactly what the composers had in mind. All great singers have the ability to bring lyrics to life, and Linda Eder is a great singer. 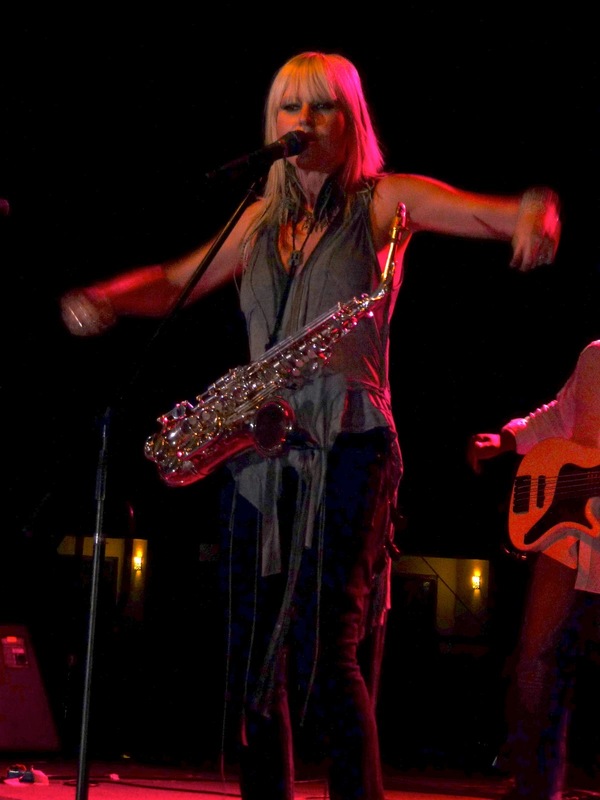 Linda performed for an hour and one half with no break and received a rousing standing ovation when she finished. Linda is truly one of the most talented singers performing today. She is an American music treasure! Make sure you pick up her new CD; it's really good!